With spring around the corner, you may be perusing seed catalogs to order your favorite fruit and vegetable varieties. But don’t be so quick to purchase new packets — those leftover seeds from seasons past may still be viable for planting. You can test old seeds to find out. Depending on the type of plant, some seeds can still grow even years after you have ordered them. Garland said there is one exception: seeds in the onion family, including leeks and chives. “That’s the rare case where I just toss the seed if I haven’t used it that year because it does not stay viable,” Garland said. 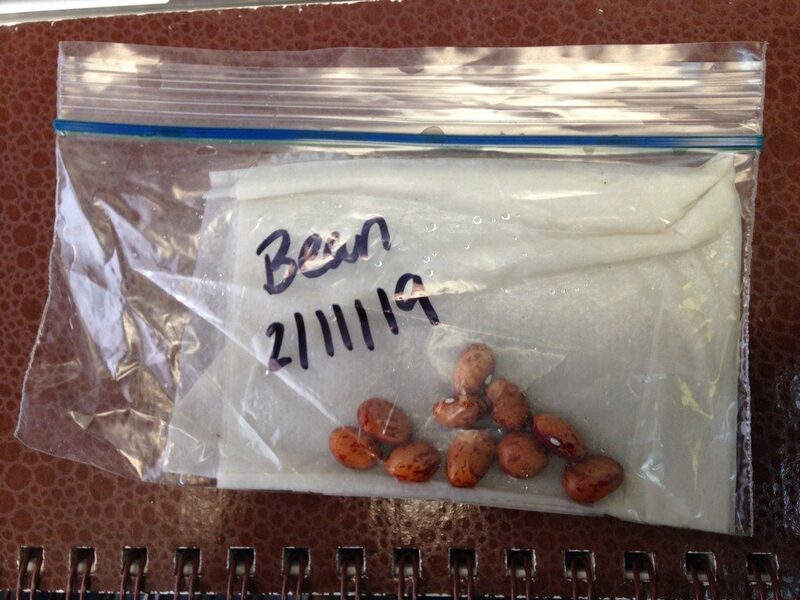 For your other seeds, the test is simple: place 10 seeds on a wet paper towel, put them in a resealable plastic zipper storage bag and keep it in warm spot (the top of the refrigerator or a countertop will do — Garland says to just make sure you will check it often). Even if only a small percentage of your seeds germinate, you may still be able to plant them. Garland said for germination rates around forty percent (in other words, if only four of your 10 seeds germinate), just toss in more seeds when planting. “If you don’t want to toss it and waste potentially viable seed, sow it heavier,” she said. The test will work with most vegetable seeds. Garland said the test is especially effective for beans, tomatoes, peppers and peas. She also said to be mindful if the seeds require light to germinate, like lettuce. Plant that require more specific conditions like stratification and scarification to germinate — native flowers, for example — are not suited for the simple plastic bag germination test. For most plants, though, is worth testing your past seasons’ seeds. Reusing old seed will not only give life to salvageable plants, but also save you a bit of money.